Earlier in 2017, I did a "5 Favorite Buys of 2017" post. However, I feel it was a bit premature considering I wrote it in May. Now that the entire 12 months have passed, I figured it was worth re-writing the post with my true 5 favorite buys of the year. 2 of the 5 are under $50, and 4 are under $100. 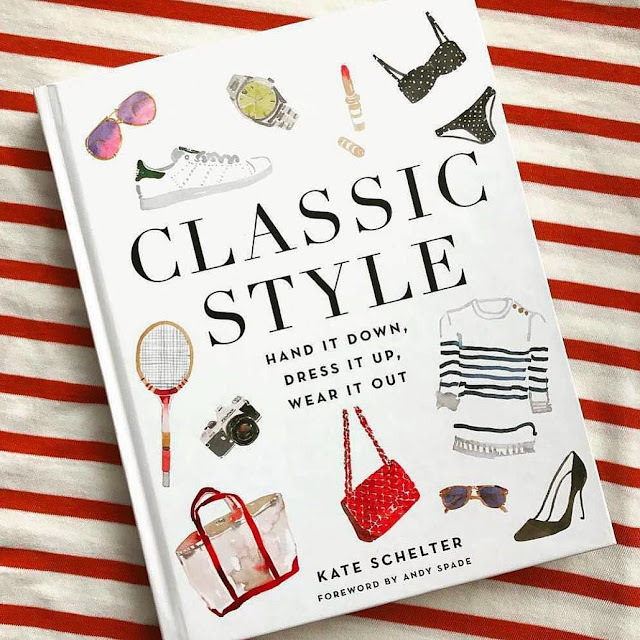 I'm always fascinated to hear about the products and items people swear by and continue to go back to and buy more of- so here are 5 of mine. 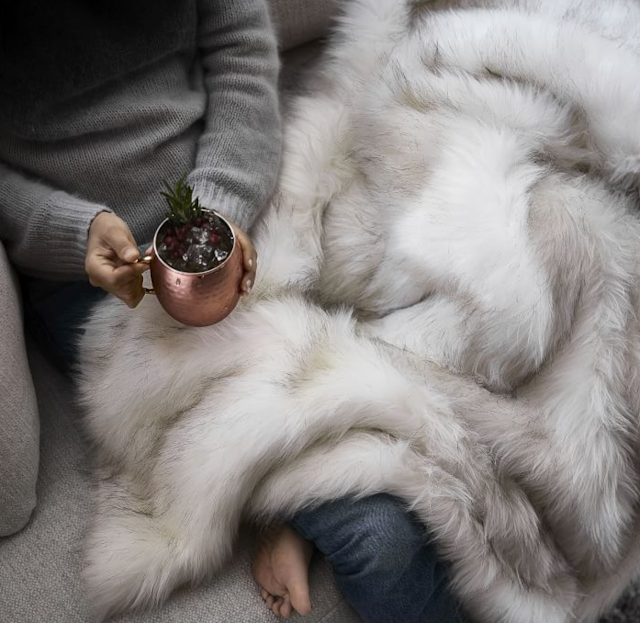 As I type this blog post, I'm wrapped up in my favorite faux fur throw from West Elm. I originally purchased this throw intending to just drape it over my duvet, but once it arrived I couldn't stop curling up in it. The opposite side of the fur has a very soft polyester material that is both warm and comfortable. Plus, the faux fur looks very chic and adds a nice texture to my bedroom. Anytime I have friends over for wine they always gravitate towards this throw and want to wrap up in it. In 2017 I made a shocking discovery: I'd been sleeping on the wrong type of sheets my entire life! Anyone who has tried linen sheets will surely echo my sentiments- there's nothing more soft and comfortable to fall in to after a long day. They are smooth against your skin, breathable and light. 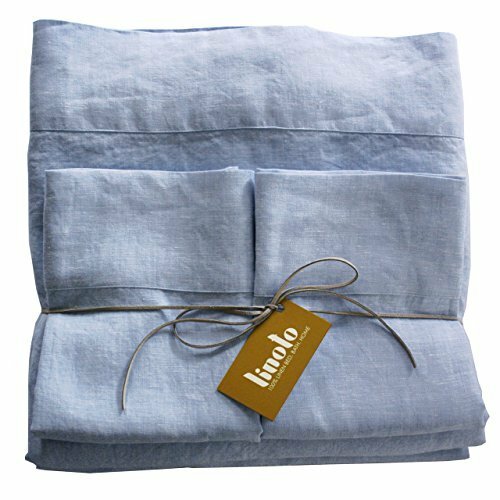 I swear by Linoto sheets (I have the light blue set shown here) but also have a set of Saphyr's linen sheets and find them pretty divine as well. I added this miracle cream to my current skin routine (I use this cleanser twice a day, a few drops of this in the morning, and a prescription strength retinoid at night), and have absolutely loved the results. I now understand the La Mer hype. To give you a bit of background on La Mer: Max Huber, a German-born aerospace physicist, suffered severe burns in a lab explosion in the 1950s while working on a rocket stabilizer. He spent the next 12 years experimenting with Macrocystis pyrifera, a variety of kelp found in the ocean near his California home, until he finally created an elixir that healed his wounds and restored his skin to such lustrous health that all evidence of the accident was erased. 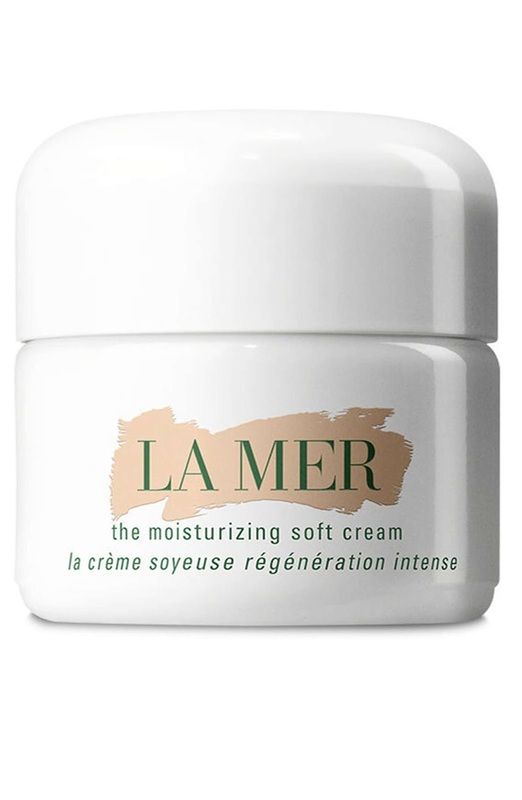 Huber started selling his creation, christened Crème de la Mer in 1965; after his death in 1991, Estée Lauder purchased the brand from Huber's daughter and turned it into the blockbuster luxury skin-care company we know today. I can honestly say I've never seen a product transform my skin so noticeably in such a short amount of time (I've been using it for only 2 months). Also worth noting - I did a Clear and Brilliant laser treatment in 2017 and can't rave enough about it. The treatment laser fractures your skin to stimulate the production of collagen. I went to Skinney Medspa for my treatment here in NYC and was very happy with my experience. I bought these boots at the end of 2017, and have been wearing them almost daily over tights paired with a longer tunic sweater. At under $50 right now, these Steve Madden beauties are a steal, and a perfect less expensive option to my other favorite flat black boot. 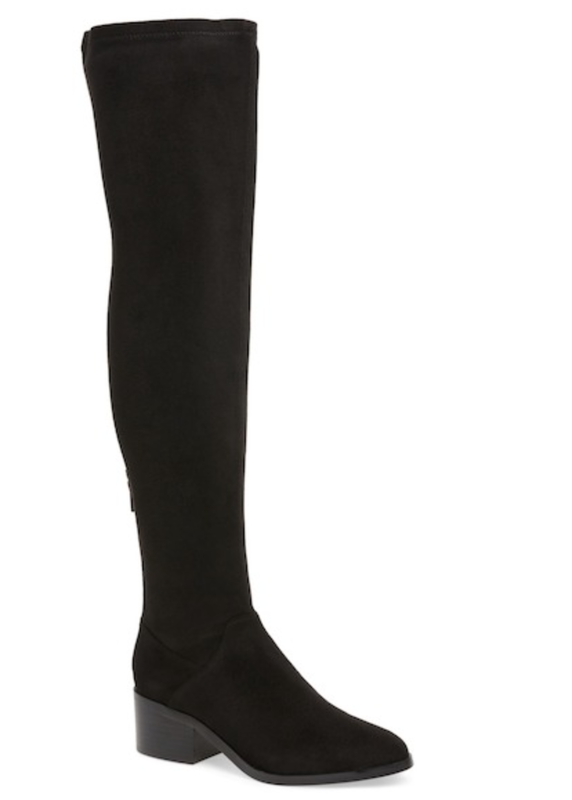 The Gabby boot goes over the knee when pulled up all the way, or can be scrunched down a bit to under the knee. I personally like for my boots to fit a bit looser around the calf, and this leaves some breathing room while still remaining sleek. It's also a great alternative (or perfect pairing) to my favorite heeled Vince wedge bootie that I purchased in fall of 2015 (and still wear almost weekly). What were your favorite purchases or discoveries in 2017? I'd love to know!